In all seriousness, the Crops of Luv fundraiser through this webcast has far exceeded my expectations. The make & takes are great, and we have the chance to hear from various manufacturers and designers. 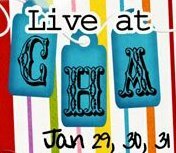 Who's getting excited about Live at CHA?! 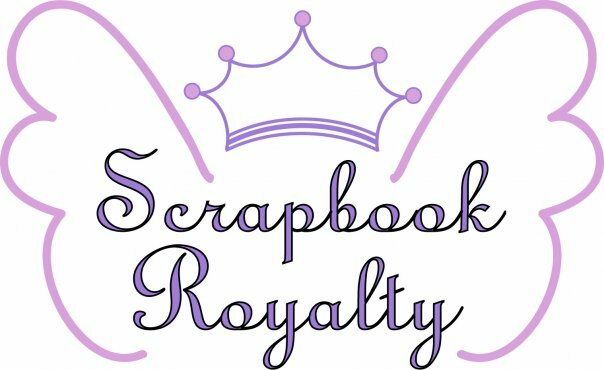 Being in Chicago, I often feel like I miss out on a lot of the cool events that Scrapbook Royalty affiliates host or take part in. So the chance to take part in some on-line make and takes during CHA is super exciting! It's not too late to register! CHA is next weekend, so don't delay! Come and join me in the fun! And check out the video by Elena that describes all the goodies in the swag bag you'll receive to take part in the weekend webcast. Elena is showing off the contents of our Swag Bag!!! Why Should You Sign Up for Live at CHA? Laura Bray has graciously answered this question for you!!! That’s not all! Can you believe it that the one and only Donna Downey will be demoing for Faber-Castell during the event. I can’t wait to see that one. I for one, watch Donna’s Inspiration Wednesday posts on her blog every week! I wonder what she’s got going this week? There’s even more to come so stay tyned to this spot!!! This is the make and take goodies that will soon be on the way from Prima to use in the Live at CHA Prima make and take! Can you believe all this Prima beauty? I love the butterflies, the paper and, as always, their beautiful flowers!!! If you haven’t registered yet, there’s still time. This is only the beginning. I’ve heard of more goodness from some of the other sponsors. I can’t wait to share more!!! Click here to register now and you will receive a swag bag valued at over $50! Do You Know Suzi Blu? Well neither do I but I’m dying to meet her!!! I have several of Suzi’s Unity stamps and taking one of her classes is on my to do list for this year but I’m thinking that meeting here in person is going to have to wait until another time. Unless, like me, you are registered for Charity Wings Live at CHA event. Suzi will be at CHA with our very own Elena interviewing some of our industries finest and smartest and playing along with the make and takes. And you get to play right along with them!!! So, if you haven’t registered yet, go to the Live at CHA page on the Charity Wings website to register. You will receive a swag bag containing things that you will need for the make and takes (worth over $50)!!! More Live at CHA News!!! Elena almost has the goodie bags ready to go out and CHA is just around the corner. Are you going with her? You can go to CHA with Elena via your computer and the internet. Since my last post, I have more great news to share with you. First of all and what I’m really excited about is that Suzi Blu is joining Elena there!!! I love that girl and have one of her online classes on my to do list for this year!!! She has so much talent and I can’t wait to see what she is sharing with us at CHA! So, what’s next you ask? How would you like to come along for free? If you get four of your friends to join you in this awesome adventure,YOUR registration is free! Once you and your friends have registered, email your four friends names in and your registration will be refunded!!! Do you own or no someone that owns a scrapbook store. They can carry Live at CHA in there store! 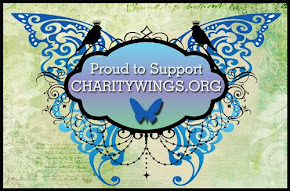 Just contact info@charitywings.org for the specific information! Plus, if you could help us out, we would love it! Please post one of these ads (the top one or this one directly above) on your blog, Facebook or other social media site. We really do appreciate it! 3 days of live streaming video. Exclusive live chats with industry artists and designers. First peek at new releases. Make & Takes using your Goodie Bag sent to you prior to the event. Auction of new releases benefiting Crops of Luv. To register click here and scroll down to the bottom of the screen! The fourth cycle of Club Royalty is starting now and it’s FREE for the next three months. It’s our gift to you!!! Are you a charitable crafter? What is a charitable crafter? A charitable crafter is someone who loves to create handmade objects for someone in need. Simple as that. Are you in! For the first project of this cycle, we are making Valentine cards for Card Cupid. Card Cupid will be gathering handmade Valentine cards to be given to kids at The Children’s Hospital at Legacy Emanuel. So, go to the Club Royalty page on the Charity Wings website to get more details. Then go to the Club Royalty Facebook page and “Like” us where you can read all about the projects and activities! There will be Special Designer Chats where members will be eligible for prizes!!! We all love prizes, don’t we? I’ll tell ya’ what! Elena continues to amaze me with updates about our Live at CHA event! I mentioned in the last CHA blog post about our wonderful swag bags but now Elena tells me that we are getting a free Make-N-Take from the people at Flower Soft. Yes, I said Flower Soft. They are the people that bring you pretty little sprinkles to add to your flowers to give them beautiful, soft dimension. They will be giving a pot of this magic along with a tube of glue by Duncan and they will be hosting a live demonstration from the showroom floor on how to use the items they are adding to the swag bag! You will be able to chat with industry leaders and designers that are attending CHA! There will be giveaways from manufacturers if you are in the chat room! So, how about you? I’ve purchased my ticket and I’m clearing my schedule from January 29-30th that I can be around for as many live sessions as possible! Come join me!!! Click here to join in all the fun!